The modern period ended with the radical transformation of the technologies of communication, knowledge, and energy that followed World War II. A central characteristic of the modern period has been continued increase in the efficacy of the technology of production which poses a growing challenge to the primacy of the values these means are supposed to serve. The post-modern period, the onset of which may be set at 1945, will witness either a greater threat to the status of these values by the surging technologies or a reassertion of their normative priority. Which alternative prevails will determine whether society is to be the servant or the master of the instruments it creates. 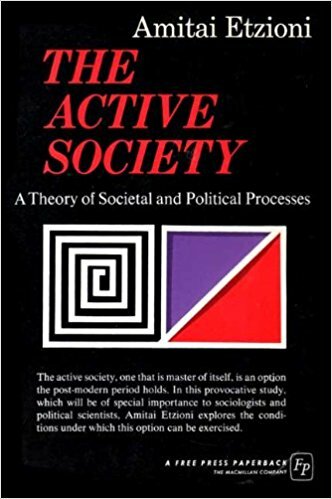 The active society, one that is master of itself, is an option the post-modern period opens. An exploration of the conditions under which this option might be exercised is the subject of this endeavor.